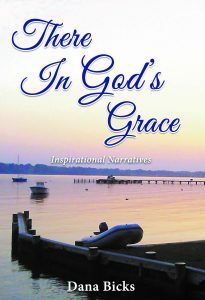 Powerful, inspirational and expressive narratives, written by the miracle of God through the hands of a dyslexic author. Learn of Dana Bick’s shocking anointment to be a Messenger of God in his raw and uncut stories of real Christian life. There In God’s Grace is a dedication to God through the Written Word. This personal collection of our Lord’s messages encompasses Christian faith and love, betrayal, devotion, loss, and life surrounding the author in his childhood hometown of Severna Park, Maryland. Readers can find inspiration using adjoining bible verses and prayers for personal reflection. As unstable as life sometimes can be, we discover our roots take us home for inner peace. Through God’s grace and love, all things are possible.